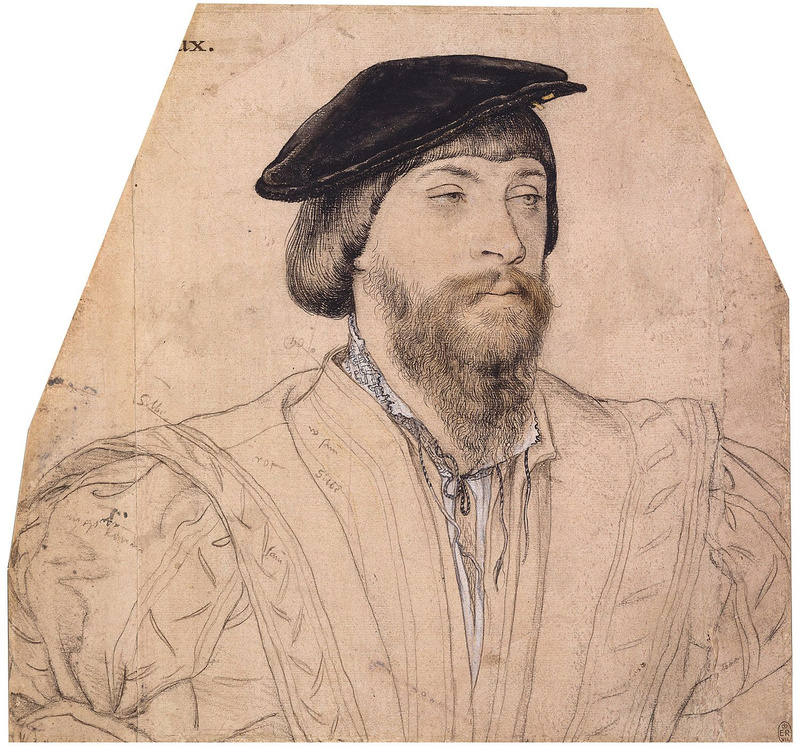 Sir Thomas Green V (c.1461 – 9 November 1506) was Lord of Greens Norton and Boughton, Northamptonshire, England. He was the son of Sir Thomas Green (IV), Lord of Greens Norton, and Maud Throckmorton. He is best known for being the father of Lady Maud Parr and grandfather to queen consort Katherine Parr. Sir Thomas Green (IV) tomb at St. Bartholomew’s in Greens Norton with wife Lady Matilda (Throckmorton). He received Boughton, Greens Norton, and large monetary grants through his inheritance upon the death of his father in 1462. Sir Thomas’ traits were that of any man of the time. He was conservative in religion, quarrelsome, “conniving”, and was one to take the law into his own hands. Sir Thomas was sent to the Tower of London due to trumped up charges of treason and died there in 1506. The last of his line, Thomas left two fatherless daughters. 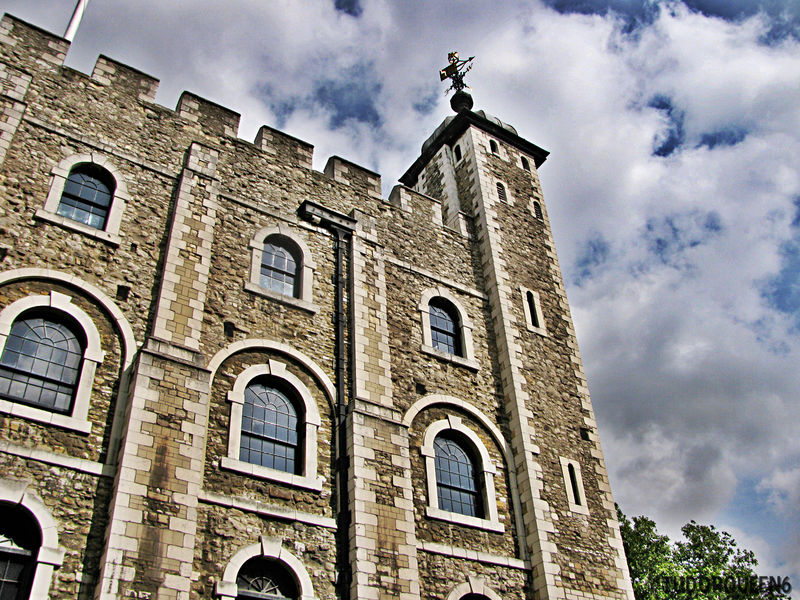 The White Tower, The Tower of London. Joan Fogge, Lady Green’s tomb in Greens Norton with her husband. 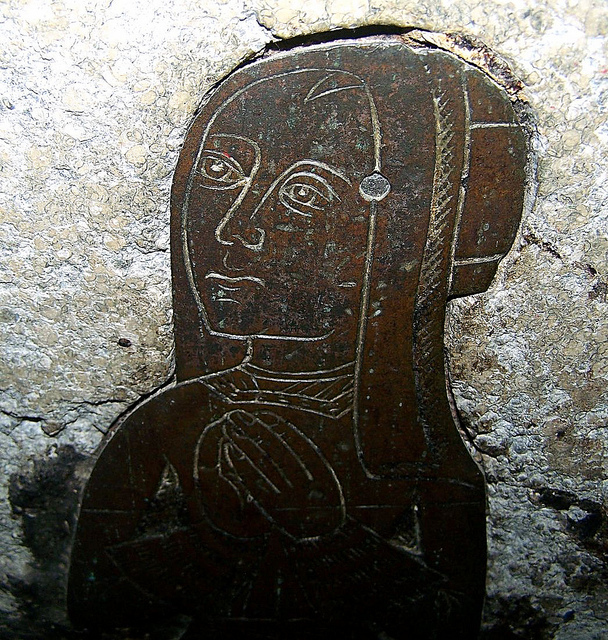 Sir Thomas married Joan “Jane” Fogge (born c. 1466), the daughter of Sir John of Ashford Fogge (c. 1417–1490), and the granddaughter of Sir William before 1489. The Fogge family was a distinguished family of Kent where they were owners of vast estates. Sir John Fogge of Ashford built and endowed the noble church and the College at Ashford, Kent circa 1450. 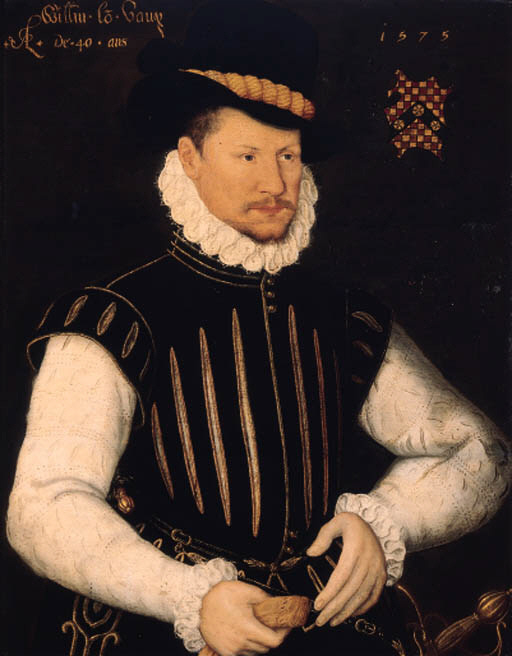 Sir John was a Privy Councillor, Comptroller, and Treasurer of the Household of King Edward IV and Chamberlain jointly with Sir John Scott to Edward, Prince of Wales (later King Edward V). He was married to Alice, daughter of Sir William Hawte of Hautsbourne and Joan Woodville, aunt to Queen consort of Edward IV, Elizabeth Woodville. 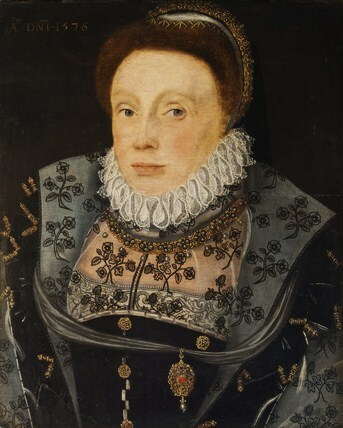 As Lady Fogge, she would come to court as one of Elizabeth’s closest female family members to become a lady-in-waiting. 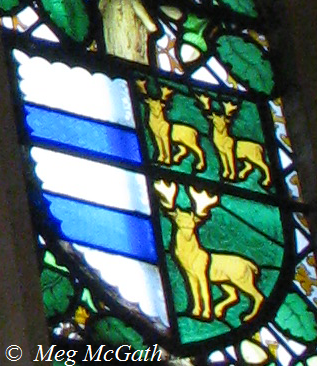 The arms of Parr and Green from the Pedigree window of Katherine Parr in the great hall of Hampton Court Palace, London. 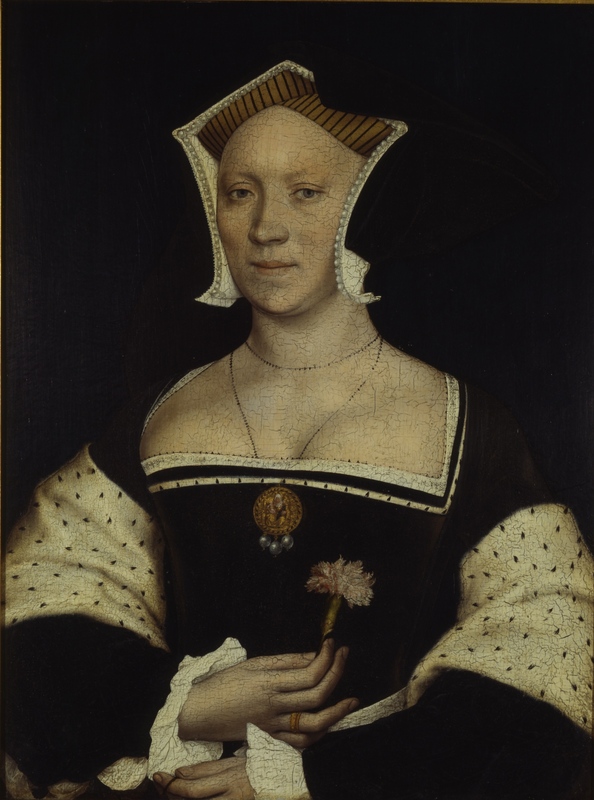 Maud Green, Lady Parr (6 April 1492 – 1 December 1531), married Sir Thomas Parr, son of William Parr, 1st Baron Parr of Kendal and Hon. Elizabeth FitzHugh. 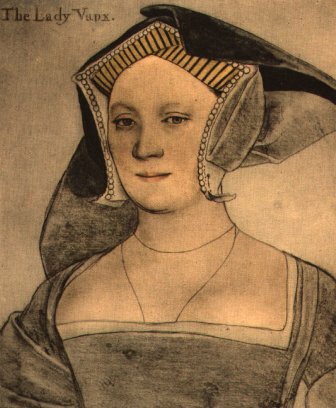 Anne Green, Lady Vaux of Harrowden (c.1489-before 14 May 1523), who would go on to marry the second husband of the before mentioned, Hon. Elizabeth FitzHugh, Nicholas Vaux, 1st Baron Vaux of Harrowden. 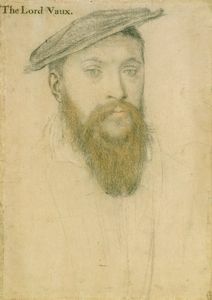 Their eldest son, Thomas, would succeed as the 2nd Baron. By her daughter Maud, she was an ancestress to Elizabeth Bowes-Lyon, mother of Queen Elizabeth II. This line of Green’s was buried at St. Bartholomew’s Church in Greens Norton, Northamptonshire, England. 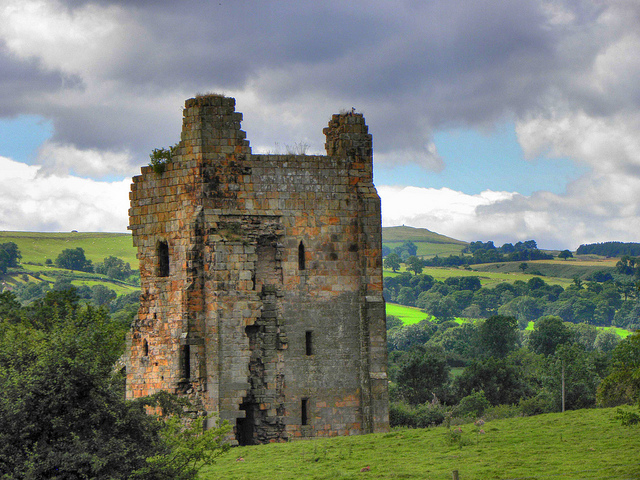 The family lived at Greens Norton from the fourteenth century up until the death of Sir Thomas in 1506. His estates passed through his daughters marriages in to the Parr and Vaux families. This line of Greens is not for obvious reasons the Greens who immigrated into the United States. Lord Green descended directly from many noble and royal lines. 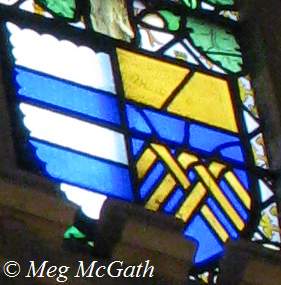 Interestingly enough, Parr’s maternal line was very involved in the royal courts. Most people, who know nothing of Parr’s ancestry, dismiss Maud [Green] Parr as having no connections and of being of no stature. Her mother’s link to the Woodville family as a cousin and lady-in-waiting no doubt helped her standing at court. 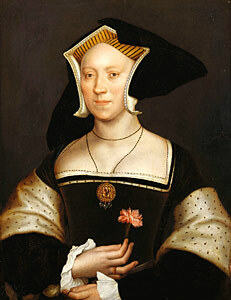 And of course, Maud would become a lady to Queen Katherine of Aragon; serving her until her own death in 1531. Too name a few of the ancestors of Lord Green..
Edward I and Eleanor of Castile three times by his daughters Princess Joan of Acre [by her daughters Lady Margaret, Countess of Gloucester and Lady Eleanor, Lady Despenser, wife of Hugh “the Younger”] and Princess Elizabeth of Rhuddlan [by her daughter Lady Eleanor or Alianore, Countess of Ormonde]. Blanche de Brienne, granddaughter of Berenguela of Leon, Empress of Constantinople, herself the daughter of Alfonso IX, King of Leon and Berengaria of Castile [daughter of Eleanor of England, Queen consort of Castile]. Alfred ‘the great’, King of Wessex. David I of Scotland via Dervorguilla, Lady of Galloway, granddaughter of David of Scotland, 9th Earl of Huntingdon, Lady Margaret of Huntingdon, Duchess of Brittany [three times], and Lady Marjory of Huntingdon, Countess of Angus. Llewelyn, Prince of Wales via his daughters. Louis VI [twice by Isabella of Angouleme, Queen of the English by her second husband Hugh X of Lusignan]. ^ Browning, Charles Henry. Americans of royal descent: A collection of genealogies of American families whose lineage is traced to the legimate issue of kings. Porter & Costes, 1891. Pg 259. 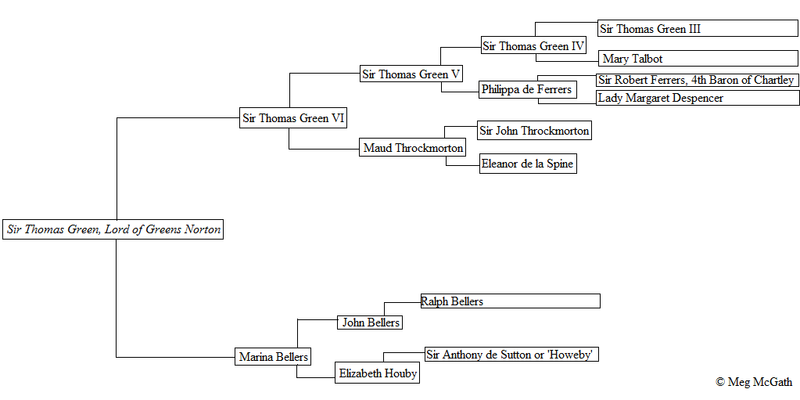 ^ The Lineage and Ancestry of H.R.H. Prince Charles, Prince of Wales, by Gerald Paget, Vol. I, p. 95. ^ Fraser, Antonia. The Wives of Henry VIII. Vintage Publishing, 30 November 1993. 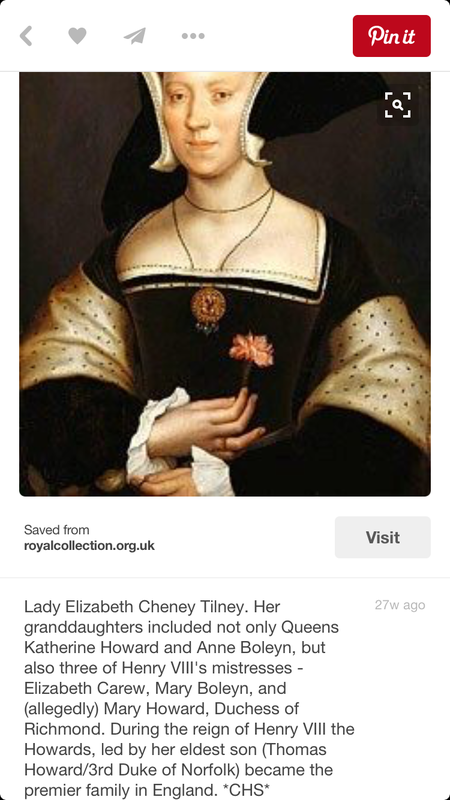 Chapter: Catherine Parr. ^ Oxford Dictionary of National Biography, Rosemary Horrox, ‘Fogge, Sir John (b. in or before 1417, d. 1490)’, first published 2004; online edn, Jan 2008, 692 words. No longer using Alison Weir as a source. ^ ‘Medbourne’, A History of the County of Leicestershire: Volume 5: Gartree Hundred (1964), pp. 229–248. URL:  Date accessed: 17 January 2011. Barbara Harris. English Aristocratic Women, 1450-1550: Marriage and Family, Property and Careers,” Oxford University Press, 2002.